I think the history of science is full of lessons for us today as we try and build a new left movement and I would like to share some with you now. I’m sure most comrades are broadly familiar with the story of Copernicus. He was a 16th century Polish monk who realised that the evidence pointed to a Universe that had the Sun at its centre and not the Earth. Copernicus correctly anticipated the reaction this idea would get from the established church and was justifiably scared, he therefore delayed publication of his book until just before his death. His ideas were later taken up by the Italian Galileo who was charged with heresy in 1633 and placed under house arrest for the remainder of his life. The heliocentric model of the Solar System had in fact been proposed in the 3rd century B.C. but did not become widely accepted until the late 1600’s and not by the church for another hundred years. In short, it took two thousand years for an idea which we now know to be true to be universally acknowledged as the truth. In 1912 the German meteorologist and polar explorer Alfred Wegener proposed the theory of continental drift. He went to West Africa and Brazil and found compelling evidence that the two had indeed been joined together at one time. He was universally dismissed as “a nutter” (to quote a post on this site describing me and other signatories to the Socialist Platform). Fifty years after his death incontrovertible evidence was found that proved he was correct after all. 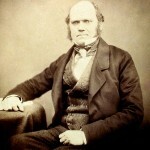 Charles Darwin was another scientist who was acutely aware of the opprobrium his ideas would attract and he too delayed publication of his work as a result. 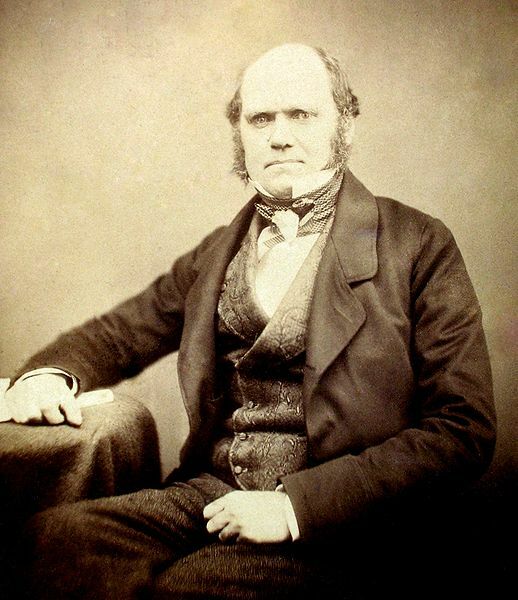 As a scientist I find it interesting that, even today, Darwin’s theories remain one of the most contentious of scientific ideas despite actually being based on everyday experience and observation and backed by overwhelming evidence. Darwin’s theory is essentially based on three observations that are non-controversial to any farmer or grower: 1) organisms produce more offspring than survive 2) there are differences between individuals and 3) characteristics can be inherited. Nevertheless the Theory of Evolution by Natural Selection continues to attract the most passionate vilification, far more than say Quantum Theory or General Relativity for example, both of which challenge most people’s perceptions of the world in a much more fundamental way. I think the reason is that Darwin’s ideas grew from the same philosophical stock as Marxism. I don’t think it a coincidence that Engels was one of Darwin’s earliest fans and used Darwin’s ideas in his ‘Origins of the Family, Private Property and the State’ a work of 1884 that modern anthropological evidence shows to have been fundamentally correct. Darwin showed that tiny imperceptible changes, if given geological time to accumulate, could turn a sponge into a gorilla, or more accurately, could turn some unknown single-celled creature into both a sponge AND a gorilla, not to mention all the other myriad creatures on Earth. This is essentially an example of Hegel’s dialectical materialism, ‘quantity turning into quality’. I think it is this ‘revolutionary’ way of thinking that some people find impossible to accept, even in the face of overwhelming evidence. So what has all this got to do with Left Unity? If you believe, as some contributors to this site certainly do, that socialism has failed, doesn’t work and needs to be abandoned, that is fine. I urge you to argue your case as fervently and coherently as you can and back up your argument with evidence. If, on the other hand, you are a socialist but, recognising that socialism is currently an unpopular and marginalised idea, think the way to build a movement is to in some way water it down or put it in the small print, then I think you are making a fundamental mistake. The lives of the scientific pioneers I have touched on above have two lessons for us today in my view. On the one hand great harm has been done and progress stifled by the burying of ideas in an attempt to be more popular or to gain greater patronage and influence in the short-term. On the other hand great pioneers have been prepared to say what they believe to be true, even at the expense of ridicule and isolation, events proved them right.